Fill your cart. Select a pickup time. Place your order! 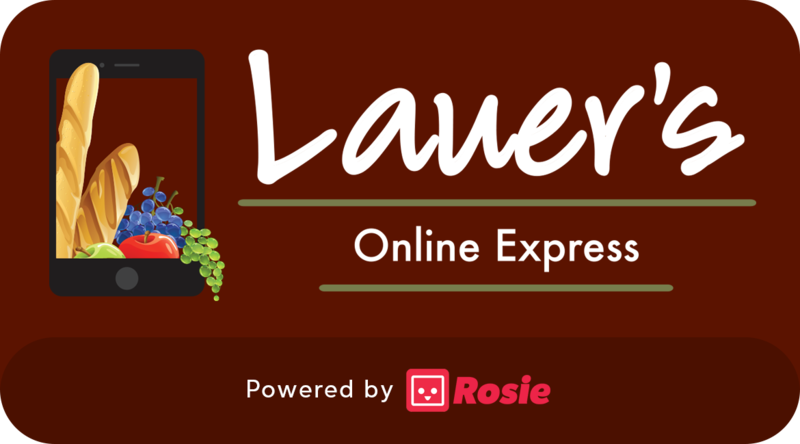 Visit LauersOnline.com or email EXPRESS@lauersonline.com for more information. Download the app & sign up today! Download the Rosie Application for Apple and Android devices and get started ordering your groceries online.